The new center, called the Alliance for Cardiovascular Diagnostic and Treatment Innovation (ADVANCE), is co-led by biomedical engineer Natalia Trayanova, PhD, and cardiologist Hugh Calkins, MD. Trayanova pioneered the use of 3-D virtual replicas of the heart and its electrical function that are personalized to individual patients with certain heart conditions. The simulations help physicians, for example, use radio frequency waves more precisely to destroy regions in heart tissue believed to sustain and propagate erratic electrical waves. Trayanova’s laboratory also is studying ways to more precisely predict who is at risk for sudden death or stroke from ventricular or atrial fibrillation, types of irregular heartbeats. 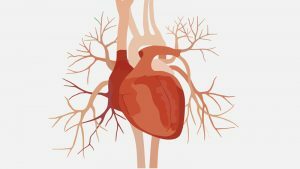 Some 5 million people in the U.S. experience atrial fibrillation and tens of thousands more have had ventricular arrhythmias, says, Calkins, professor of medicine at the Johns Hopkins University School of Medicine and director of the Cardiac Arrhythmia Service at The Johns Hopkins Hospital. “Our goal is to find new strategies that will have a profound impact on the management of a wide range of cardiac arrhythmias,” says Calkins. Over the next five years, Calkins and other cardiologists at The Johns Hopkins Hospital will lead clinical trials of the engineering strategies developed by Trayanova and her colleagues. “This group has some of the world’s best talent and is poised to advance discoveries that improve the lives of patients using cutting edge, personalized approaches,” says Mark Anderson, MD, PhD, William Osler Professor of Medicine and director of the Department of Medicine at Johns Hopkins. “ADVANCE is a wonderful example of what can happen when you bring together precisely the right engineers and clinicians with the best and boldest ideas in a collaborative environment,” says T.E. Schlesinger, PhD, Benjamin T. Rome Dean and professor of electrical and computer engineering at The Johns Hopkins University’s Whiting School of Engineering.